Haiti is an independent country of this seashore. Ophelia is a character in William Shakespeare's drama ______. "MI5" is ______ intelligence agency. Bridgetown is the capital city of ______. Bill Tilden is one of the greatest ______ players of all time. In "The Great Gatsby", Tom confronts Gatsby at the ______. "The Master and Margarita" is a novel by Russian writer ______. A+!! Your general knowledge is well above the average. You are so well-read that everything in life reminds you of something you once read in a book. You search for meaning and purpose in life, a connection to something greater than yourself, and you love the feeling of accomplishment. 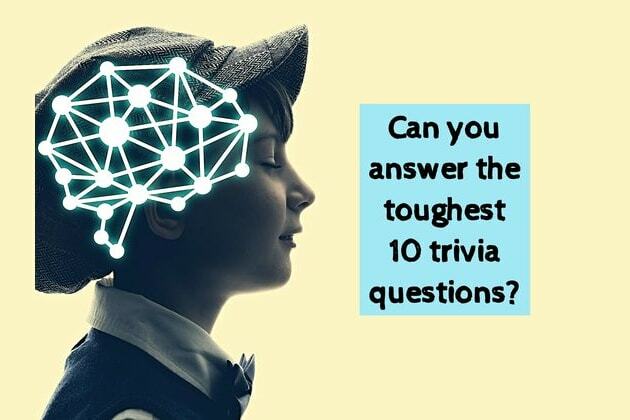 Let us know in the comments if we figured you out, and SHARE this unique 10-question knowledge quiz to test everyone you know. You failed. But don't stress too much about it. Just take another crack at this unique 10-question knowledge quiz, and SHARE it to test everyone you know. When people ask me about knowledge and education, I always answer with the wise words of A. Lawrence Lowell: "Of course there's a lot of knowledge in universities: the freshmen bring a little in; the seniors don't take much away, so knowledge sort of accumulates."